Tony Mitchell is an honoraray research associate at the University of Technology, Sydney. 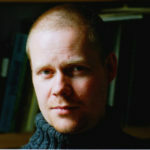 He has edited a number of books: on global hip hop (Global Noise, 2001), on Australian Popular Music (Sounds of Then, Sounds of Now, 2008), and New Zealand Music (Home Land and Sea, 2011). He is currently co-editing a book about Icelandic music.